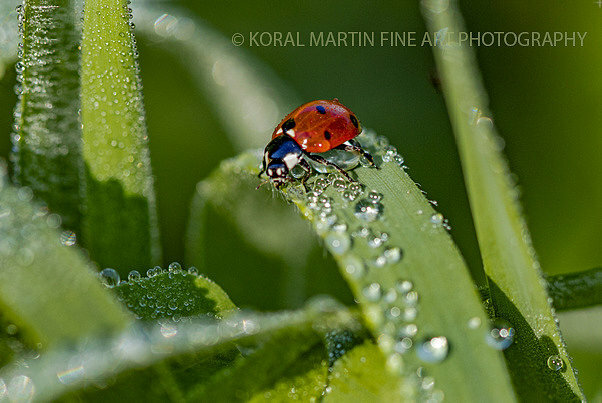 I had the wonderful opportunity to watch lady bugs gathering dew drops. About 2 weeks ago before the storms that flooded the area hit, I went hiking at Tanyard Loop with hopes of seeing the beautiful waterfalls and maybe even the heron fishing that I had seen on a prior trip. As I was hiking in I was struck by the dew drops on everything. There were lots of beautiful spiders webs that first caught my attention but then as I looked around the dew drops were glistening along the trial on the wonderful variety of green plants. I pulled out my macro lens and get to work. 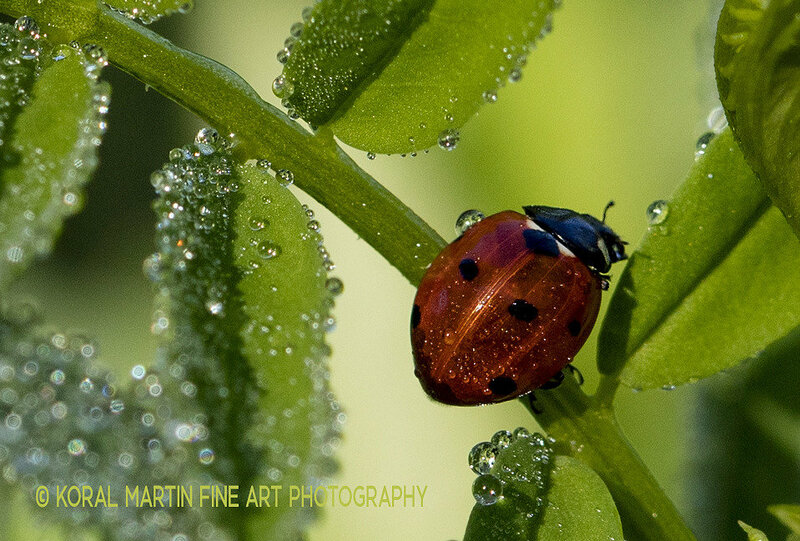 I loved the drops on all the varieties of leaves but then along came the lady bugs. It was fascinating watching them gather water drops as they moved around. I spent a long time watching them and I loved the opportunity to capture them. The perfect view! I love wild flowers and I love the mountains of Colorado. Can't get any better when you get them both :-) this was taken on Gothic Road north of Mount Crested Butte. Beautiful 24 7! Cumberland Falls at Cumberland Falls State Resort Park in Kentucky is breathtaking no matter the time of day. Enjoyed doing some night photography of it last trip. Take Me Away... Driving along 92 Highway heading to the north rim of the Black Canyon of Gunnison we stopped at many of the overlooks. This overlook of the Morrow Point Reservoir was absolutely beautiful. Red and Green.... Boulder Creek along Boulder Canyon Road is a favorite spot of mine. There is often bright green moss here and there along the banks but I had never seen the vibrant red right at the edge of the water. When you really zoom in, it appears to be roots but I have never seen roots that color before - I found it fascinating. Think Alder roots. One of my favorite spots in Tennessee is Reelfoot Lake. An earthquake created Lake in the Northwest corner. Watching the sun rise over this lake with the beautiful Dock and Cypress trees was phenomenal, what a great way to start the day. Did you know that a baby osprey's eye is red where the mature Osprey's eye is golden? Found that out at Photo Shareshop's weekend at Reelfoot lake - how very cool!! This momma that I captured was guarding her chicks. If you look close there is a 2nd one peeking out and a 3rd was back behind her. I had a blast photographing all the birds there but the osprey with their little ones was really special. We saw about 20 different nests with youngins of all sizes. What an experience!! While driving around just checking out Marble Colorado after spending the day around the kebler pass area, we came across this small little lake outside of town with beautiful reflections right at the golden hour. Sure can't beat Colorado views! My art work on tables with resin finish - available in different sizes with different photos.